The Icelandic members of the Order of Malta are now preparing for their yearly pilgrimage to France on the first weekend in May, with a group of about 15, including 4 patients. The Order of Malta (known as The Sovereign Military Hospitaller Order of Saint John of Jerusalem of Rhodes and of Malta, Sovereign Military Order of Malta (SMOM) or Order of Malta) is an auxiliary Order of the Catholic Church, dedicated to St. John the Baptist, founded by Blessed Gerard in Jerusalem in 1048, with the purpose of strengthening the Catholic faith, helping the sick and the poor. Its headquarters are in Rome. It is a sovereign entity, issuing its own passports, currency and stamps, maintaining embassies in 106 countries. It has an observer at the United Nations and other international institutions. There are about 13,5000 Knights and Dames in the Order, with about 80,000 volunteers in more than 120 countries. It employs about 25,000 professionals, such as doctors and nurses. The Order does its best to assist the poor and the sick, without distinction. At the beginning of May every year about 10,000 people go to Lourdes, accompanying around 1,500 patients, who receive spiritual assistance and physical cure there. Gunnar J. Friðriksson and Hreinn Líndal were the first Icelanders to be received into the Order in 1993, but Hreinn had worked for it at the United Nations for 15 years. Ragnar, the son of Gunnar, was admitted next and then Gunnar Örn Ólafsson, who was received in 2007. Now the members are seven, including Fr. Jakob Rolland, a priest with the Catholic community in Iceland. “The Order does immense charitable work around the world and in Lourdes patients receive healing effects from bathing in the famous healing waters of Our Lady of Lourdes,” Gunnar says, but he went there on his first pilgrimage in 2008. He adds that the Order is very active in Europe, among other things running ambulance services in Ireland and Germany. When a tsunami caused great damage a few years ago in the countries around the Indian Ocean, the government of Myanmar allowed only the Hospitallers into their country, regarding them as the only independent charity organization. 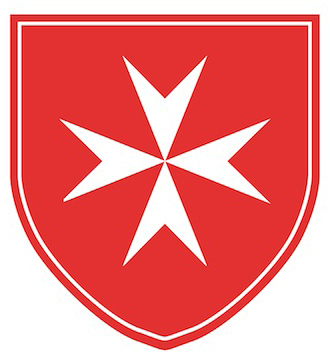 The Icelandic Hospitallers belong to the Nordic section of the Order and its last general assembly was held in Iceland in 2016. The assembly was held in Finland last year and will be held in Sweden next year. Gunnar is a board member of the section. A short time ago the Icelandic members received 100 winter coats from Australia. These have been distributed by the Salvation Army, the emergency shelter in Lindargata and the Sisters of Mother Teresa. “We assist them as much as we can, and in addition to that, we visit sick people and assist those that need help to go to Mass,” Gunnar says about the main assignments of the Icelandic Hospitallers currently. The Hospitallers in Iceland. From left: Gunnar Örn Ólafsson, Hreinn Líndal, Jóhannes Halldórsson, Fr. Jakob Rolland, the Chaplain of the Order in Iceland, Bjarni Halldórsson, Ragnar Gunnarsson and Jóhanna Long. The Hospitallers are very active in important charity work around the world, and many of them go to Lourdes every year. France. Þórunn Kjaran Gunnarsdóttir in front of the cave where Our Lady appeared to St. Bernade+tte in 1858.